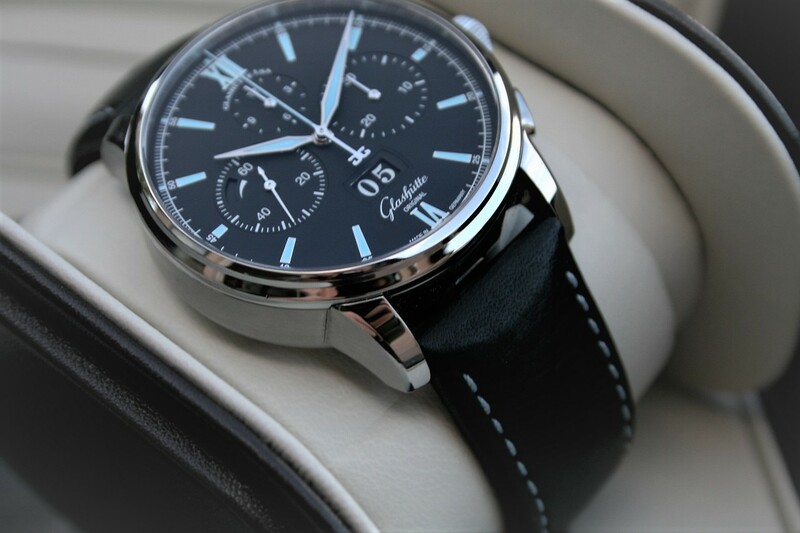 I am selling a I have for sale a Glashutte Original Senator Chronograph Panorama Date watch model 37-01-03-02-35 in near mint 96% condition. 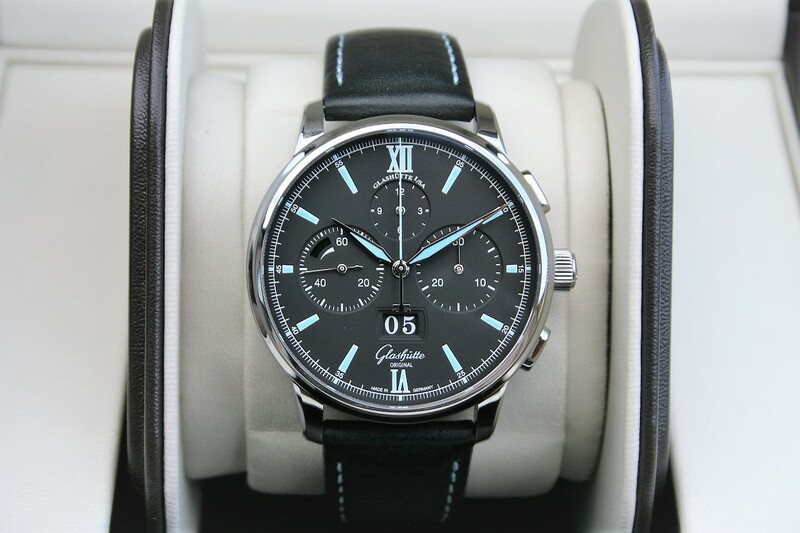 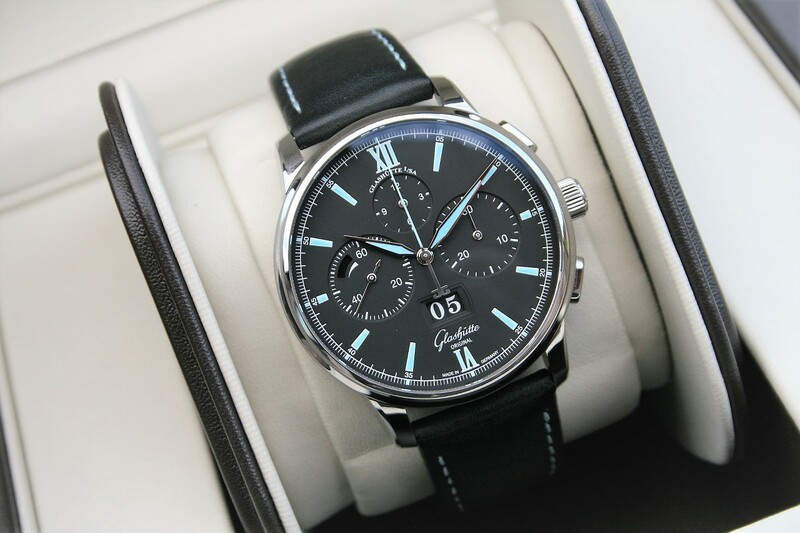 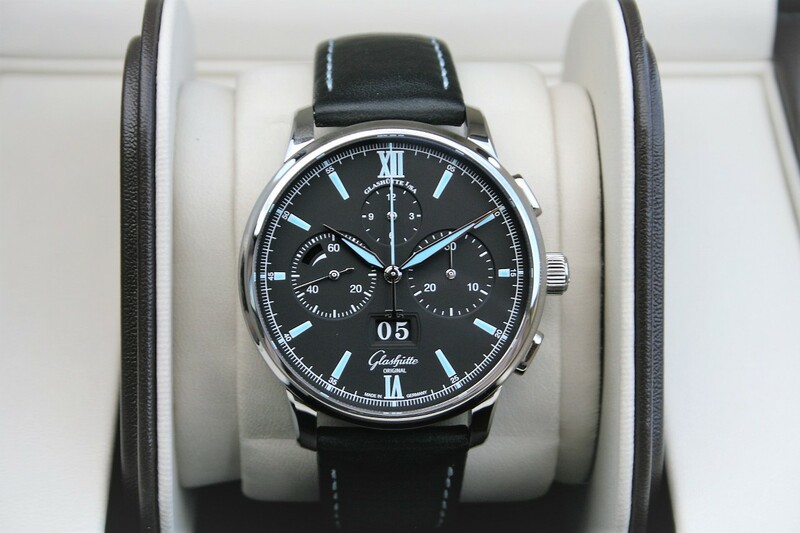 This Glashutte is also known as model 3701030235, it has a self-winding automatic watch, features a 42mm stainless steel case surrounding a black dial on a black leather strap with a stainless steel deployant buckle. 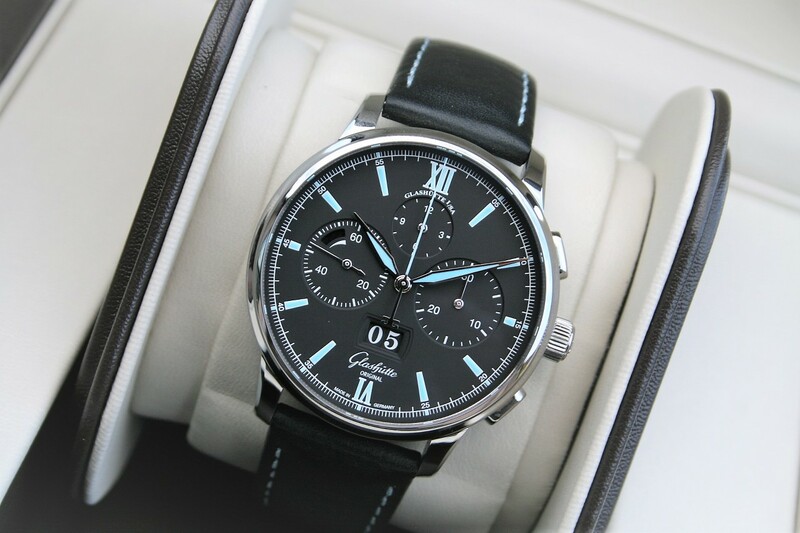 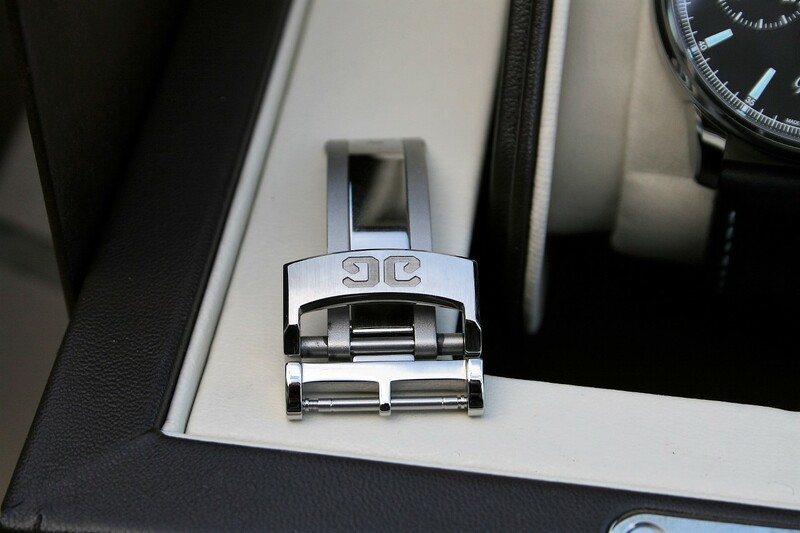 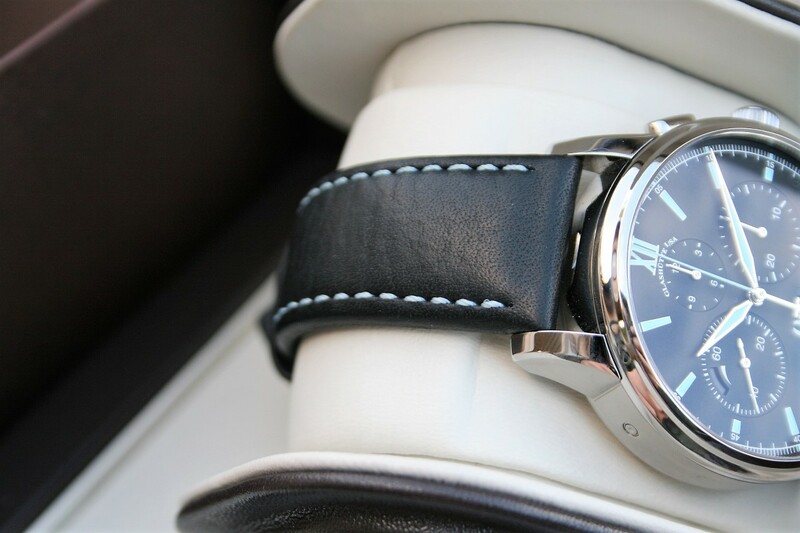 Functions include hours, minutes, small-seconds, date, power reserve indicator and chronograph. 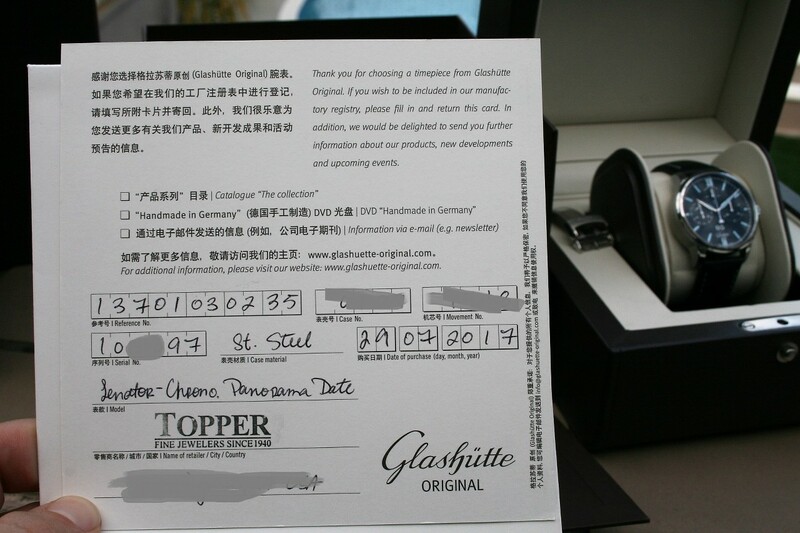 This watch was bought in 2017 and it comes with box and papers as seen in pictures.